Kuwait is situated at the head of the Arabian Gulf and covers an area of 17,818 square kilometers. The land is mainly flat with occasional low hills and shallow depressions and despite having a coastline that stretches for 325 kilometers; Kuwait has no inland rivers or lakes. To the country’s West and North lies Iraq, to its East the Arabian Gulf and to its South, Saudi Arabia. Kuwait is a geographically small but wealthy country with a relatively open economy and self-reported crude oil reserves of nearly 105 billion barrels-about 9% of world reserves. Among the Gulf States, Kuwait’s oil reserves are second only to those of Saudi Arabia. Petroleum accounts for nearly half of GDP, 95% of export revenues, and 95% of government income. Kuwaiti officials have committed to increasing oil production to 4 million barrels per day (bpd) by 2020. Kuwait was able to survive the economic crisis that began in 2008 and 2009; it posted its eleventh consecutive budget surplus, mainly due to increased oil prices. Kuwait is one of the richest countries in the Arab world. The Kuwaiti dinar is a strong currency pegged to a basket of currencies in which the U.S. dollar has the most weight. For taxes, the general rule is that individuals (Kuwaiti or foreign nationals) and Kuwaiti companies are not subject to taxes on income. Kuwait experiences a characteristic desert climate: extremes of temperature, little rainfall and lots of sunshine. Kuwait’s population comprises over 100 nationalities. The population is currently estimated at 3.5 million; about 1.5 million (around 43%) are Kuwaitis. It is interesting to note that Kuwait’s 93.3% literacy rate, one of the Arab worlds highest, is the result of extensive government support for the education system. Public school education, including Kuwait University, is free. At Al Tamimi & Company, our Kuwait office is headed by Partner, Alex Saleh. Alex has been practicing in Kuwait sine 1994. His efforts in developing the office have quickly made Al Tamimi a leading firm in Kuwait and today the office is experiencing further growth. The office currently employs 12 fee earners, and a total staff of 20 people. In early 2011, the office expanded into a larger space to accommodate everyone; however, with the office continuing to grow at an impressive pace, the team is already looking at larger spaces to accommodate the new growth plans. The month of June brought the office good news. Philip Kotsis, who joined Al Tamimi in October of 2009, became a partner at the Firm. Philip has been practicing in Kuwait since early 2009 and has had experience with Kuwait law dating back to 2004. During the same month, we were happy to welcome our newest team member, Hamzah Alshammaa, who joins us as a corporate commercial associate from the U.S.
As the summer begins, the Kuwait office quickly finds itself becoming increasingly busy. The State of Kuwait has began issuing new laws and regulations regarding Capital Markets and has also started the privatization process by issuing multiple Public – Private – Partnerships (PPP), aimed at furthering the infrastructure of the country. Our office has quickly become one of the key law firms handling many of the current projects and is preparing for future project work. The Kuwaiti economy is growing rapidly and, with a substantial on-the-ground presence, the office is uniquely placed to advise clients investing in the market. The Al Tamimi & Company Kuwait office has quickly established itself as the fastest growing and leading banking and finance (including Islamic Banking and Sukuk) law firm in Kuwait. The Firm lead the first ever Sukuk issuance in Jordan earlier this year, and has developed some of the most innovative solutions to restructuring debt. With an international team of high calibre lawyers, we ably service clients from around the globe. Each member of our team of professionals is fully committed to providing our clients with accurate, thorough and cost effective advice. Our team of lawyers in Kuwait has a formidable set of local and international credentials. The office contributes monthly as the exclusive and official Islamic Financial News (IFN) correspondent for Kuwait on Islamic Banking. Within the State of Kuwait, Al Tamimi & Company (the “Firm”) is a full service law firm with expertise in all major areas. The Firm is ranked as one of the leading firms in Kuwait and has become well known as having expertise in local law with international standards. We believe one would be challenged to find a more experienced, well resourced and capable firm in the region to assist with legal matters in Kuwait. With the resources of the largest law firm in the region, combining global standards of expertise with extensive local knowledge and contacts, the Firm has established itself as a leader in Kuwait providing top quality legal advice. The Firm has a very large transaction division in addition to its local litigation team. As an international team of high calibre lawyers, we ably service clients from the United Kingdom, North America, Europe, Far East, and Middle East. The Kuwait office provides legal advice in areas including: Banking & Finance, Islamic Finance & Sukuk, Corporate (including establishments, mergers and acquisitions & private equity), Commercial (including commercial agencies, distributorships and franchises), Litigation & Arbitration, Taxation & off-set, Intellectual Property and Telecom, Projects (including PPP & Privatization) and project finance. We pride ourselves on our complete knowledge of the laws and regulations applicable to our home jurisdictions and the commercial community abroad. In Kuwait, we regularly confer with government ministries and departments. We assist multinational companies and family-owned businesses in establishing operations in the region independently, or in association with local partners. Our local clients, many of whom have business interests outside the region, and the international organisations with which we work, rely on our global perspective. We subscribe to the belief that the world of opportunity does not recognise national boundaries. Our banking practice provides a comprehensive range of banking law services, and our banking and finance lawyers (who have served as in-house counsel for banks abroad and in the region) are specialists fully conversant with all aspects of the practice of banking and finance law. The Firm represents most of the banks in Kuwait, both national and international, advising them on all aspects of the practice of banking and finance law, from commercial matters to the restructuring and refinancing of debt. We provide advice on banking regulation and supervision throughout the Gulf region, the underwriting and syndication of loans, capital markets, securitization, debt recovery, foreign exchange contracts, equipment leasing, secured commercial lending, financing arrangements for foreign trade, project, infrastructure and corporate finance. We are the leading law firm in Kuwait involved with the restructuring, refinancing and rescheduling of conventional and Islamic debt. Our debt restructuring assistance has been cantered around Kuwait investment companies and we have served as legal counsel for major local and international creditors as well as debtors in large debt restructuring/refinancing transactions. Our team has led in the drafting and negotiation of numerous debt restructuring instruments, including but not limited to, standstill agreements, multi-tranche conventional and Islamic facility agreements and all aspects of bond issue restructuring. Furthermore, our lawyers have drafted a wide array of security documents, in English and Arabic, which have successfully obtained all requisite Kuwait Ministry approvals. Typically, the majority of assets of Kuwait investment companies are either securities or real estate. Therefore, our vast knowledge of Kuwait’s custodian portfolio laws and mortgage laws allow us provide detailed advice and implementation of the necessary security instruments that are involved in many secured restructuring/refinancing transactions. Moreover, our legal professionals have been intimately involved in assisting and directing the securitisation of assets in connection with debt restructuring transactions in multiple GCC and MENA region jurisdictions, including the involvement our various Al Tamimi & Company offices throughout these regions. Finally, our team is one of the only legal service providers to guide, structure, draft and implement both conventional and Islamic debt restructuring transactions within Kuwait from start to finish. Al Tamimi & Company has an unrivalled reputation in Islamic Finance documentation and advice and has been a pioneer in developing compliant documentation. The Firm’s Banking & Finance department has drafted and/or advised on Islamic finance retail and commercial products for many of the regions banks. It has a thorough knowledge of Shariah principles and current approaches to Shariah compliance in each jurisdiction in the region. Our lawyers have also advised on and drafted Islamic compliant finance documents for project, corporate and commercial finance transactions as well as Sukuk issues. Our approach is to project manage the transaction by involving the Shariah board at an early stage which reduces the extent of amendments required by the board. We also ensure, as far as possible, that common provisions in the proposed documents are settled and translated in an initial document so that they can be reproduced without subsequent extensive edits. Our attorneys are experienced in advising clients on the proper formation of joint ventures, companies, the establishment of branch and representative offices of foreign companies here in Kuwait and advising as to the most advantageous structure for each client and venture. Outside of joint venture arrangements, under the Kuwait Commercial Companies Law, Decree No. 15 of 1960 (the “Companies Law”), there are essentially two main vehicles for establishing companies. Pursuant to Part IV of the Companies Law, a Kuwait Shareholding Company (“KSC”) may be established with a minimum of five (5) shareholders. This type of entity, similar to an American stock corporation in some respects, issues stock certificates to its shareholders and is managed by a board of directors. Under Part V of the Companies Law, parties may establish a Kuwaiti limited liability company (“WLL”) with a minimum of two (2) partners. This entity, which is similar to the American version of a limited liability company (“LLC”), has become more popular over the last few years for smaller to mid-size businesses to quickly establish themselves in the Kuwaiti market. Generally, while the Companies Law does not allow more than 49% foreign ownership, the State of Kuwait has begun liberalizing its foreign investment laws in recent years. For example, the Ministries consider Gulf Cooperation Council companies to be Kuwaiti for purposes of these foreign owner restrictions. Also, under Decree No. 8 of 2001, Regulation of Direct Foreign Investment in the State of Kuwait, foreign companies may now own larger interests in companies, in some cases holding a majority to total ownership, especially in the event that they are seen as bringing benefits to the country such as technology or capital. 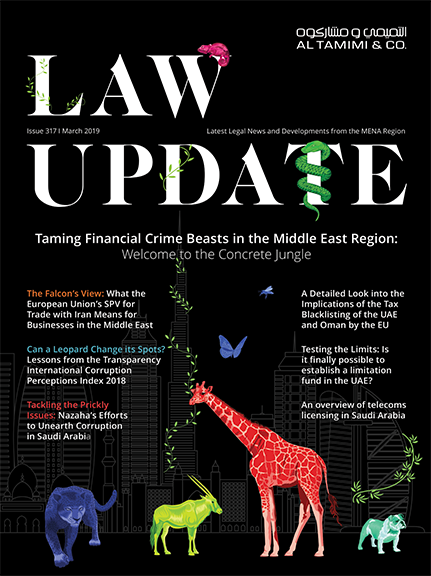 The lawyers at the Kuwait office have a long track record in assisting foreign shareholders in this respect and safeguarding their interests based upon both local law and practice. Within the private sector, the relationship between a Kuwaiti commercial agent and a foreign principal is primarily regulated by two statutes: the Kuwait Commercial Law, Decree No. 68 of 1980 (the “Commercial Law”), which addresses the general legal relationship between a commercial agent and principal; and Law No. 36 of 1964 (the “Commercial Agencies Law”), which stipulates the prerequisites for acting as a commercial agent in Kuwait and sets forth the commercial agency registration procedures. Many foreign companies seek to conduct business in Kuwait through the use of commercial agents and/or distributors. The above-referenced laws of Kuwait have evolved to protect local entities in their relationships with their foreign principals. In addition, other local pitfalls involving taxation and trademark issues may affect foreign principals wishing to do business here. Our Kuwait office has extensive experience in advising these principals with respect to all of these matters. Our practice in this area includes drafting and negotiating the agency/ distributorship arrangements between the parties, minimizing the advantages that the Kuwaiti laws give to protect local entities, ensuring that little or no taxation results from the transactions and taking steps to protect the brand names of the foreign principals. In addition, since the early 1990’s franchising has become quite popular in the State of Kuwait. While the laws here are still evolving to meet the demands of franchise arrangements, we can offer practical advice to structure franchise relationships based upon contemporary law. There is currently no specific legislation on franchise agreements in Kuwait. Instead, such agreements are interpreted along with any other commercial contracts within the broad framework of the Kuwaiti Civil Code and the Commercial Law, which allow the parties to contractually agree as they desire. Kuwait’s judicial system is primarily based upon the civil law of the French model via Egypt, as opposed to the Anglo common law system. In addition, Islamic Shariah provides another source of law in Kuwait particularly in areas of family and estate matters. Pursuant to Decree Law No. 23 of 1990, Concerning the Organization of the Judiciary, the Kuwaiti judiciary has a recognizable three tier system: The Court of First Instance as composed of the Small Claims Court and the General Court, the Court of Appeals, and the Court of Cessation. Its judicial procedures are governed by Decree No. 38 of 1980, the Civil & Commercial Procedures Act. With its wealth of knowledge and experience in the local courts, our Kuwait office handles major commercial matters in Kuwait on behalf of both foreign and local clients. As a result of our bilingual skills and both western and eastern legal expertise, the combination of our Western educated counsel and local Kuwaiti litigators has produced a strong team that foreign-based companies prefer to engage when litigation becomes necessary here. In addition, the firm has developed a strong reputation for arbitration both in Kuwait and abroad. The attorneys have a successful track record in arbitrating under both local Kuwait arbitration rules as well as more well-known international arbitrations rules such as the International Chamber of Commerce Arbitration Rules and the UNICTRAL Arbitration Rules. The taxation laws in the State of Kuwait are currently embodied in Decree No. 3 of 1955, the Kuwait Income Tax Law, as amended in 2008, as well as numerous Ministry of Finance orders, resolutions and circulars (the “Taxation Laws”). Generally, foreign companies conducting business in Kuwait are subject to income tax pursuant to the Taxation Laws. However, the important point to note with regard to Kuwaiti tax is that it is imposed only on corporate bodies carrying on trade or business in Kuwait as opposed to parties carrying on business with Kuwait. The point has been the subject of countless meetings and discussions at the Ministry of Finance’s Department of Income Tax (“DIT”) where the DIT has become significantly more aggressive in the past several years in assessing taxes against foreign entities. Our Kuwait office has been very successful in structuring foreign investment and activities in Kuwait to minimize foreign parties’ exposure under the Taxation laws. In addition, when it becomes necessary to litigate a tax assessment issued by the DIT against a foreign company before the Tax Appeal Committee or the Kuwaiti courts, our law firm has a strong track record in defeating DIT tax claims or settling at significantly smaller dinar amounts. The Firm has international experience in major infrastructure projects and project finance transactions in State of Kuwait. Recently, Kuwait passed its Public Private Partnership (PPP) Law (“PPP Law”) in order to facilitate the issuance for large-scale infrastructure projects such as, among others, the planned redevelopment of Failaka Island, a new physical rehabilitation hospital, a waste water treatment plant, a national rail road network, a power plant, as well as the comprehensive redevelopment of the country’s international airport. The intention of the PPP Law is to create wider ownership in larger projects (i.e. to shift the development cost burden away from the government and toward private investors), while giving the investor management control of the joint stock company and the project. As from the date the PPP Law was passed in 2008, over $25 billion worth of projects have been announced and significantly more are expected to be announced over the next few years as Kuwait aims at expanding and diversifying its economies. In 2010, Kuwait passed a new Independent Water Power Plant (IWPP) Law for the establishment of Kuwaiti joint stock companies to undertake the building and performance of electric power and water desalination stations in Kuwait (the Independent Water Power Plant (IWPP) Law). We have provided legal advice to a consortium in respect of their successful bid for a wastewater treatment plant project which won the “Wastewater Project of the Year Award” in the Global Water Awards. We have also represented a client in a consortium for the construction of a calcinated petroleum coke plant in Kuwait. In June of 2011, we were engaged to act as legal counsel on multiple PPP projects, representing multiple companies, financial institutions and governmental agencies. Our team of lawyers in Kuwait has a formidable set of local and international credentials. It is this combination of talent and experience that will enable us to provide commercially astute assistance across all of its legal service requirements in Kuwait. We pride ourselves in our complete knowledge of the laws and regulations applicable to our home jurisdictions and the commercial community abroad. In Kuwait, we regularly confer with government ministries and departments. We assist multinational companies and family-owned businesses in establishing operations in the region independently, or in association with local partners. In Kuwait, Al Tamimi & Company operates through a joint venture with lawyer Yaqoub Yousef Al Munayae. We have one of the largest corporate practices in the Middle East. Combined with our team across our regional offices, we provide a unique level of support, both locally and internationally for our clients. Our team includes lawyers with substantial experience in Kuwait and the regional Middle East markets combined with team members who bring the best of international experience to the region.